Till what limit can the art on two wheels be extended to? Ask MV Agusta. Having made some of the most exotic Italian masterpieces on two wheels, MV has a tremendous history in terms of making some of the most beautiful looking motorcycles on the planet. And thankfully their lust is still going strong. Some time back, MV Agusta created a special division called the Reparto Veicoli Speciali, or Special Vehicles Department, and handed them the task of creating the best MV Agusta machines that beam in terms of quality, research, performance and emotions. 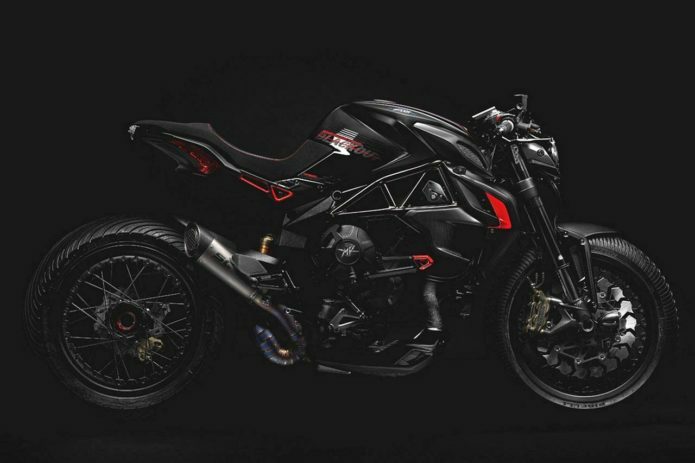 This division was joined by the San Marino Research Center Castiglioni (originally born as CRC, Cagiva Research Center) to work on the brand’s Brutale Dragster 800 RRand come out with an evil looking motorcycle that will scare the daylights out of anything on the road.